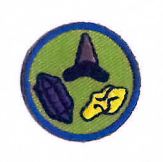 ​The Idaho Falls Gem & Mineral Society is a club devoted to rockhounding. Since 1957, members continue to have a variety of interests. Our Society is a non-profit organization promoting the study of geology, lapidary, and applied sciences, and fostering a spirit of of fellowship among our members. We are members of both the Northwest and American Federation of Mineralogical Societies (NFMS and AFMS). 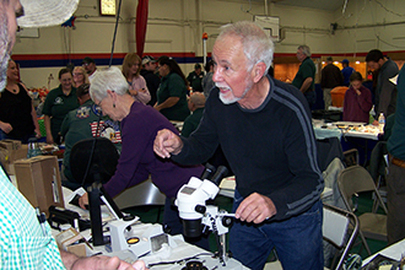 The Idaho Falls Gem & Mineral Society Annual Show has Gem, Jewelry, & Mineral Dealers, Exhibits, Demos, Auctions, Prizes, Crafts, & More. 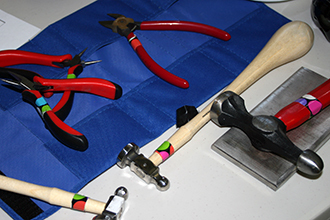 Spend the day turning minerals and rocks into decoration, jewelry, and other great uses. Come teach or learn new techniques. 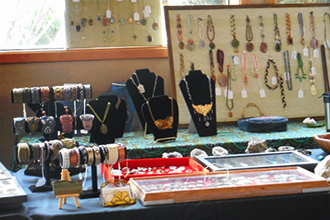 Members showcase and sell rocks, slabs, and mineral specimens as well as handcrafted jewelry, artisan items, & gemstone material. WE NEED A NEW LEADER FOR THE JUNIORS! Application, Books for Juniors, and Links/Resources are on our Junior Page. Photographs and written materials may not be reproduced in any manner without written permission.